Beauvoir teachers intentionally create classroom communities and cultures that support children’s intellectual, social, and emotional growth. In keeping with these goals, our pre-kindergarten and kindergarten students eat lunch in the classroom – creating a home-like feeling and helping our younger friends have fewer transitions during the school day. Our lunchtime activities are grounded in our Life Rules of kindness, respect, responsibility, and honesty. 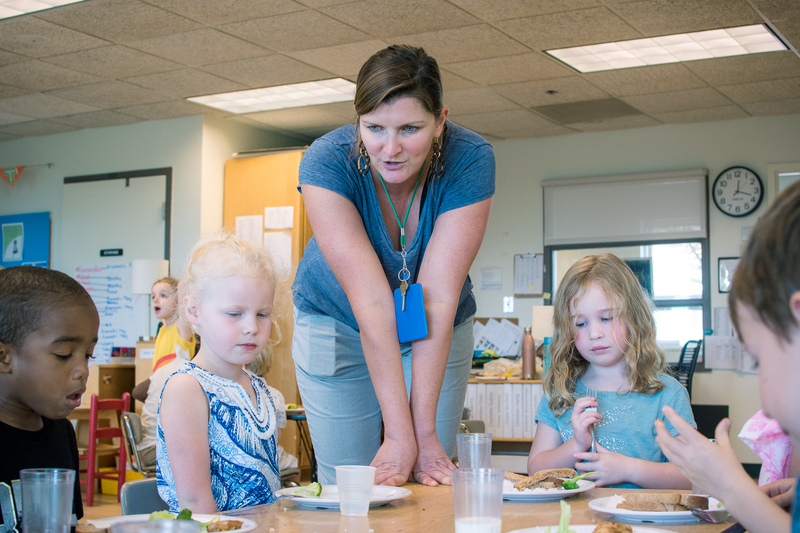 In many classrooms, there are student jobs, including lunch helpers, table wipers, and sweepers. These jobs rotate on a daily or weekly basis, so that every child has the opportunity to take responsibility for their classroom at multiple points in the year. The lunch helpers assist the classroom teachers and lunch buddy teachers set the tables and serve the food, and table wipers and sweepers help to clean up the classroom after lunch. 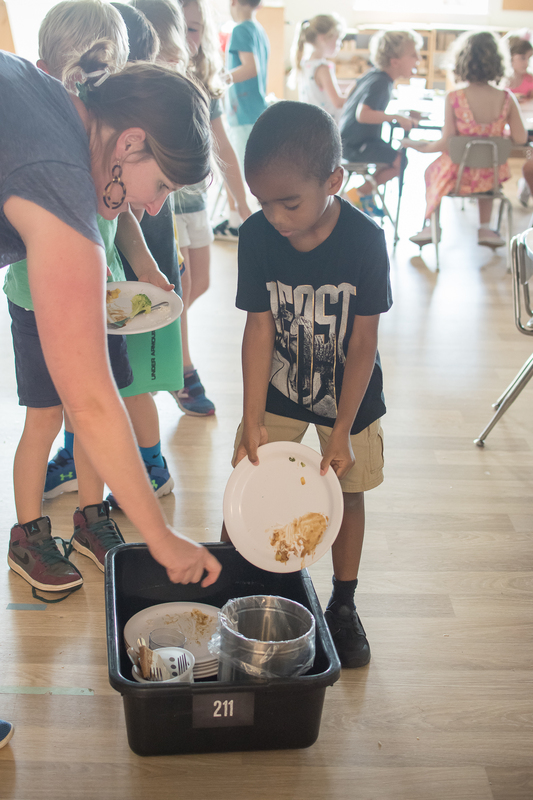 After lunch, students are responsible for cleaning up their own area by scraping their plate and putting everything into a bin. We encourage students to be responsible for their dishes at home just like they are at school. 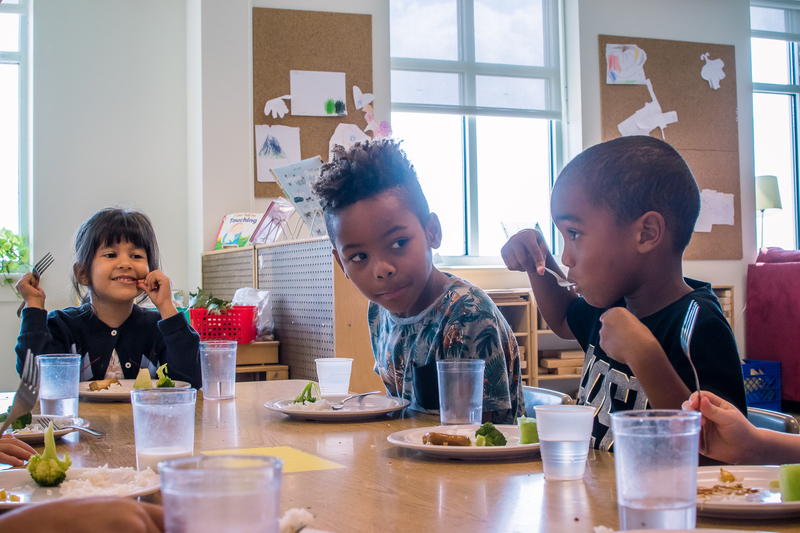 Setting the table and cleaning the space helps our students develop responsibility and independence – all while enjoying a healthy, happy, and delicious meal with their friends.